Even if you have the best marketing strategy in the world, it won't lead you anywhere if you can't sell your job properly. To give potential clients the backyard of their dreams, you need to understand exactly what they want. 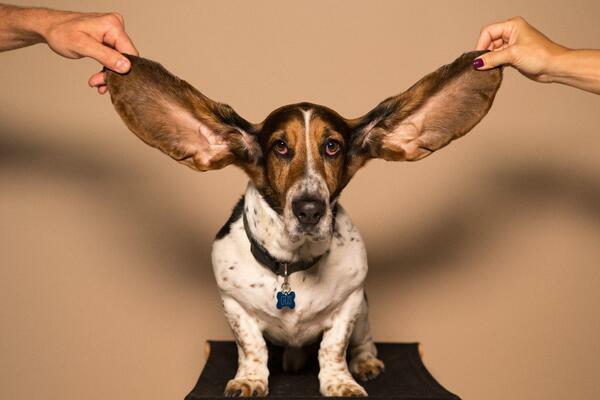 It all starts with active listening. Let’s go through three simple sales tips you can easily apply to your selling strategy this upcoming 2019 season. We might often find yourself in this situation. You’re sitting at a kitchen table with homeowners and they just keep talking and talking. You wish they would stop so you can finally say what you had in mind for the last five minutes. Well, as Stephen Covey once said: "most people do not listen with the intent to understand; they listen with the intent to reply". If you do not have a clear comprehension of what they wish their new backyard would look like, how can you win that job? We came up with three simple selling techniques you can practice to increase your closing ratio: the 3 RE’s. "So, what you’re asking is…"
"Why is my price so high?" "Can I do it for less?" Once per hour, repeat something they have said. If you make a habit of quoting them every hour, you’ll pay more attention to them. It’s also a form of respect the homeowners will appreciate. They will grow to trust and like you because it proves you are making an effort to understand their needs. "The cooking feature is important to you because…"
Rephrase them once per sales call. You might rephrase their words in a wrong way and they won’t agree with you. It happens, but it’s ok. You made a mistake, but now you can head into the right direction. When you are unable to close a job, price might not be the reason. Did you design a backyard they don’t like? Did you forget to add the feature they mentioned? This sales tip will help you find if you're on track or not. Write something again to alter or improve it. A successful salesman takes a lot of notes. This action does not distract you from listening and makes you a better listener. Don't just write what you feel is important. Write as much as possible. You’re not even talking and homeowners are already more confident that you care and you get them. However, it’s not enough. That's why we call it rewriting. Do you immediately work on a design right after you end a sales call? It’s often the next day or a few days later, right? You might forget precious information that differentiates a win from a loss. Instead of starting on the estimate a day or three days later, sit down and type up your notes. Enter them in your system so you can access them easily and remember everything the homeowners said. None of this is new. The rewriting technique was used thousands of years ago by Socrates, Plato and Themistocles. In the birthplace of democracy, philosophy and debate, people would rewrite their notes right after a conversation to be better prepared for the next time. You will see a well-deserved increase in your closing ratio. WANT MORE SALES TIPS & ACCESS TO QUALIFIED LEADS? CONSIDER A TECHO-PRO MEMBERSHIP TODAY!